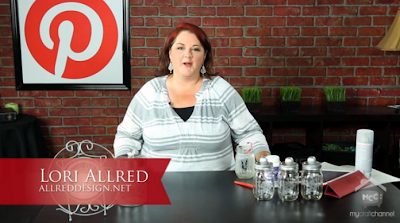 Learn to create beautiful etched glass projects like a pro. Join me as I get Inspired by Pinterest and shares different techniques for etching glass. Etching glass is the perfect way to personalize gifts and home decor. You can find more great ideas for creating many more paper crafts using our score boards on my Pinterest board called Etched Glass. Be sure to join me next week for the second of my three Polymer Clay episodes...this one features way to "stamp" on clay. For my long time followers you might remember that I had the fun privilege of teaching at Pre-Inspiration Unlimited last year. It's Teresa Collins' premier scrapbooking event held at Green Valley Ranch outside of Vegas about this time every year. And last year, it was my first ever event that I stayed and attended as a student and LOVED every minute of it!! So when I was asked again if I'd like to teach and attend again this year, I said absolutely. Now I don't want you to think I get in as a student for free...I don't. I pay the same tuition as the other students and I am spoiled just as much as the other students and I LOVE it all!! Teresa and her team are amazing hosts and this event is beyond amazing thanks to Ginger from Down to Details. She coordinates EVERYTHING and makes everything so much more amazing. 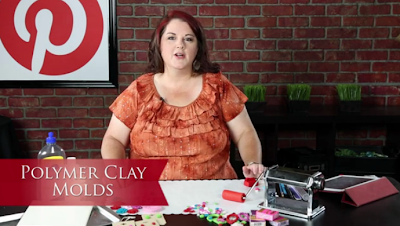 Inspired by Pinterest: Polymer Clay - Molds Finally, I return with a great episode on using polymer clay and silicone molds. Inspired by Pinterest, I share why playing with polymer clay has become my newest crafting obsessions. You can create your own custom embellishments for your paper crafting project, gifts and jewelry. Yes, don't be shocked I am Back!!! And I've so missed doing my Inspired by Pinterest show and my awesome friends that all watch and cheer me on. Last week on the My Craft Channel blog they held a giveaway contest and asked the viewers which episode was their favorite. I wasn't surprised at which episodes were mentioned, but I was surprised that you all enjoyed the shows so much and even miss me..."shucks I was flattered and thankful!!" By the way, seems the Notebooks Episode was at the top of everyone's list! Do you recall your parents or grandparents ever saying that they remembered what they were doing the day John F. Kennedy was shot? I use to think that was so strange that they would remember that particular point in time. 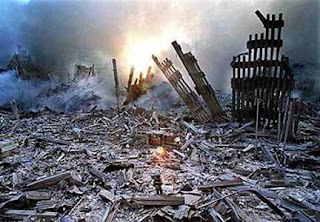 However, I do remember rather vividly what I was doing on Sept. 11, 2001. My mind replays the day in such great details. Even the way I felt and the emotions of complete shock and sadness fill my heart. I remember getting ready to drive from my home in Bountiful to a meeting I had in Provo. For some reason my husband was still home and we heard something on the radio about a plane crashing into one of the towers. I couldn't believe what they were saying and ran to turn on the television only a minute or two before the second plane flew into the second tower. We watched in complete amazement that this was not the creation of some Hollywood director. It was real, it was shocking and it was overwhelming. I was recently challenged by my friends at Oh My Crafts to create a fun project with a box of goodies they shipped to me for part of a "Crafter's Challenge." So with the help of my Silhouette and some Holiday Music playing in the background...I got to work on this beautifully, simply Holiday Platter. 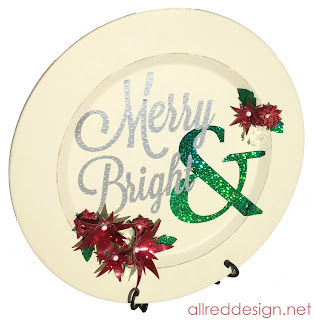 Learn how to emboss vinyl and create 3D flowers using vinyl too! Did you know you can emboss vinyl using your embossing folders? However, it has to be "brushed metal vinyl" in order for it to hold the emboss... regular vinyl does't keep the shape. I have to say I could totally stock up on this fun product and it comes in silver and gold! I am sure you're all wondering what happened to my Inspired by Pinterest show, right? Well we've had some production schedule issues that made it so the fun projects I filmed recently have been delayed another week. But no worries, we'll be back on track next week and you'll love what I've been crafting-up. But I did want to share someone (not Pinterest) with you that INSPIRES me all the time. This is my teenage son, I think he rocks. He is very artistic, loves drawing, comic books and painting. He loves supporting local artist by being their screen t-shirts and prints.